Spring is… New Beginnings. It is all around us in nature and it often stirs something inside of us. Have you been thinking of starting something new? 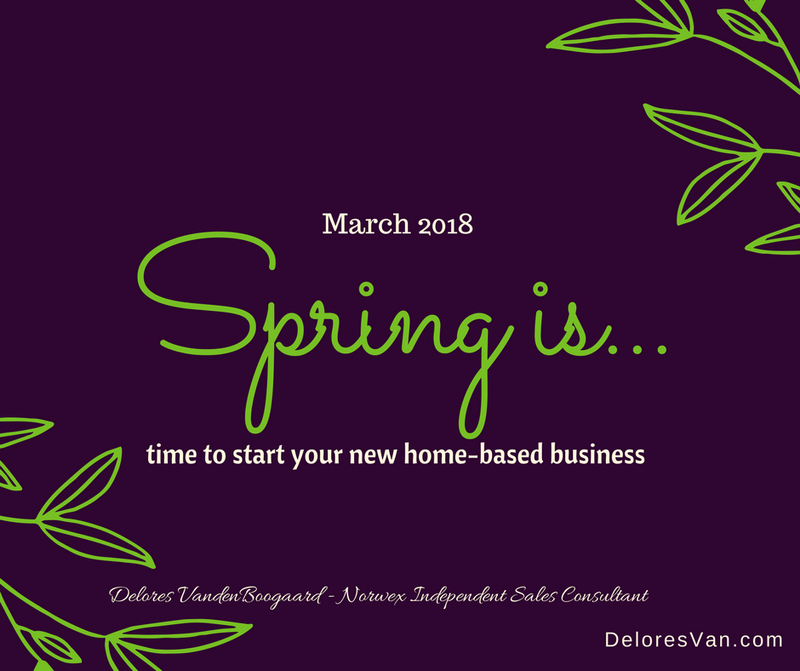 Why not let the start of spring, be the start of your new home-based business with Norwex? Norwex is a company based on Integrity, Trust and Respect. Sign Up Bonus (This Month You can Earn an Extra $150 FREE in products through the FreshSTART program). Norwex absorbs 100% of Hosting Gifts. FREE Party Starter Product Kit. Low Sales Requirements ($250 / 3 months). Excellent Training: Webinars, Videos, Resources, Conferences, Meeting, Facebook Support Groups etc. Tax Benefits from owning a Home-Based Business. Join my team. The Solution Team has been recognized year after year as a top producing team with members all over North America. I started my journey with Norwex in 2006. It has been one of the best decisions of my life. At first, I just wanted to help pay some of our household bills and then it turned into a fulfilling career. My “job” (which it never feels like) is to education others about the opportunity to clean their homes without chemicals… I get to be part of transforming homes to safe havens. Did you know? Of the 80,000 new chemicals that have been introduced in the last 50 years, approximately 200 have been assessed for their impact on human health. This statistic alone makes me thankful for the opportunity I have with Norwex. Norwex also helps to contribute to the health of our world by providing alternative products. Did you know? Residential dwellings contribute more to global pollution than industry does! From chemical cleaners, to plastic packaging, to disposable straws, plastic wraps, paper towel, etc… households use lots of a stuff… and lots of that stuff hurts our environment. Like I said, the Party Starter Kit is worth over $300! It includes the Mop System, Ultra Power Plus Laundry Detergent, EnviroCloth, Window Cloth etc., plus enough business supplies and training materials to get started! On average, a Norwex party sells $500 worth of product. That means you need to have only 4 parties in your first 90 days to receive the Party Starter Kit for FREE. 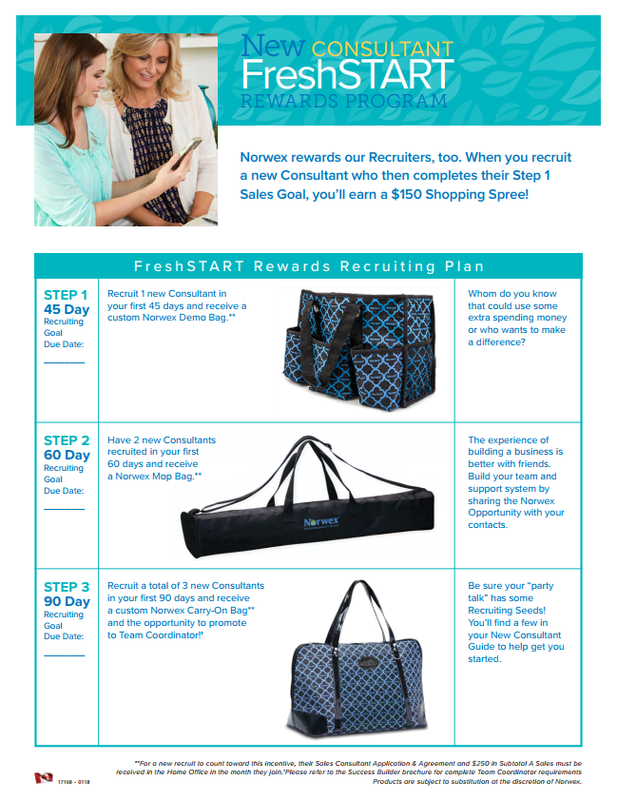 As a Norwex Independent Sales Consultant, you will start earning 35% commission on your very first sale! That means, you will earn $700 in commission when you sell your first $2000 in product. Invite all your friends and family across the country (Norwex ships straight to the customer’s home) to your Norwex Launch Party. 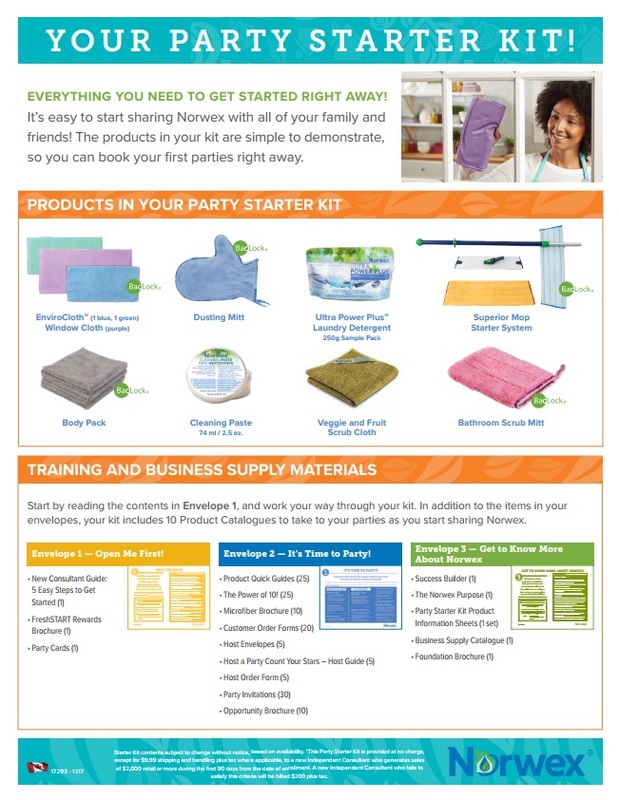 You are equipped with the products from the Party Starter Kit, so you can demonstrate products at your first party. Always use social media like Facebook, or simply text the Norwex link to people in your contact list. Even hand out catalogs… so people still love browsing through a catalogue. 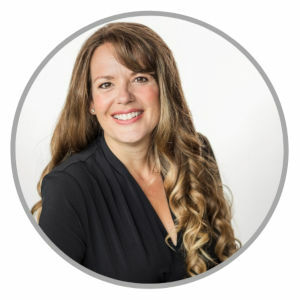 For a lot of new consultants, this is the first home-based business they have had the opportunity to run. You might feel you need a little help in getting started. 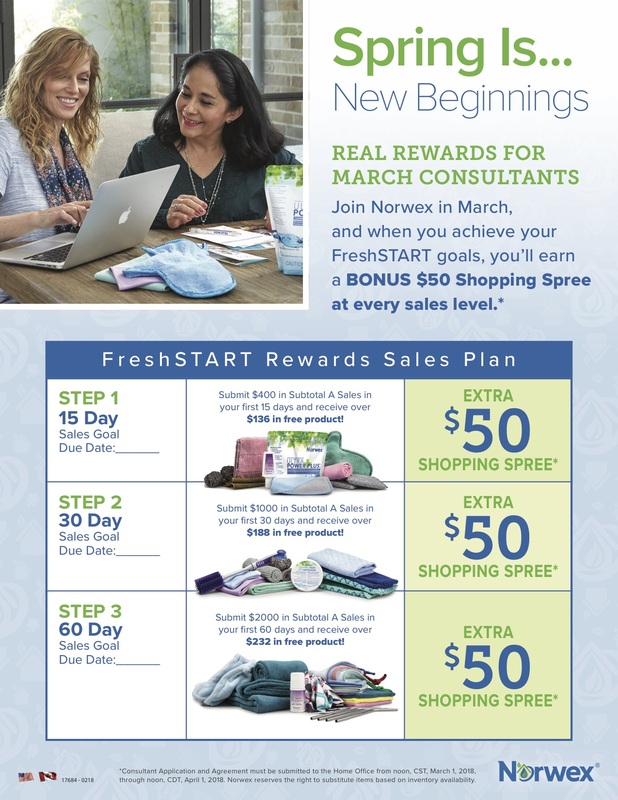 With this in mind, Norwex has implemented the FreshSTART Program to equip new consultants with the best strategies for having a successful business. The program sets up both Sales and Recruiting steps and gives rewards for each step accomplished. I think it is such a gift for all my new consultants!!! Plus this month, when you accomplish the first 3 Sales Steps, you will receive an extra $150 in FREE PRODUCT!!! In my experience, building your Demonstration Kit is a good idea! Nothing impacts the guests in attendance of our parties more that than having a consultant who has personally tried and use the product. Norwex is about letting people experience the product and when they do, they will fall in love. My favourite is the Gold Package Starter Kit Builder. It is stock full of amazing product, has $44 worth of Business Supplies and most importantly allows you to earn the FreshSTART Step 1 ($136 in free product plus the EXTRA $50 Shopping Spree). All the sales you make, even the purchase you personally purchase, (like the Starter Kit Builders) count towards earning your FreshSTART rewards. Isn’t that FANTASTIC!!! Norwex gives new consultants… only at the time of signing up the opportunity to upgrade their Starter Kit, at a discounted price below the generous 35% off. Remember, the Standard Starter Kit alone (which is not added into this chart) is also worth $300. 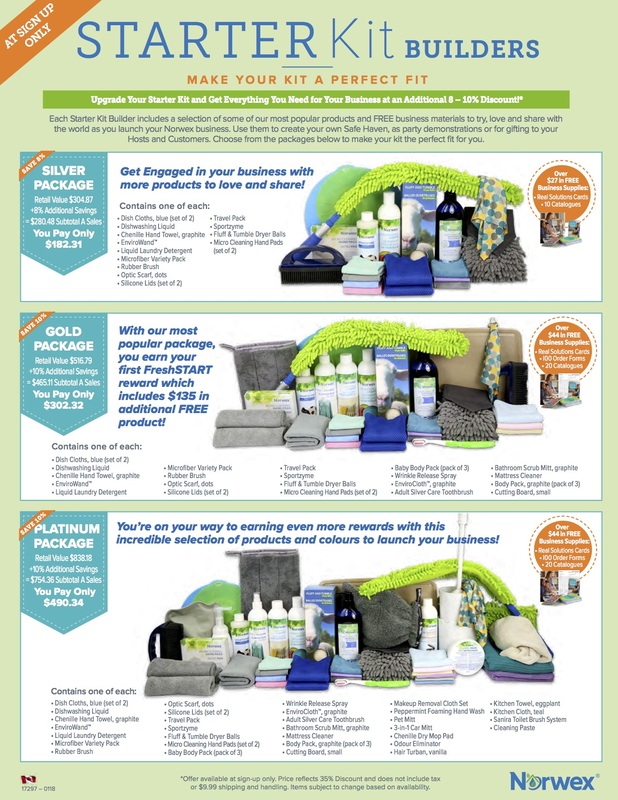 If you were wondering how you could your Norwex home-based business started… now you know! I feel privileged as a Norwex Independent Sales Consultant and Team Leader to offer you this opportunity. If you love Norwex product, have a heart to educate people, enjoy meeting people and having a positive effect on their life, then I want to encourage to try Norwex. Have a new beginning, a new home-based business.